Gdańsk University of Technology (GUT) is the largest technical university in the Pomeranian Region and one of the oldest technical universities in Poland. 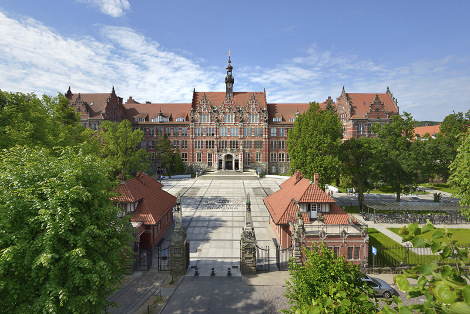 The heritage of the GUT originates from the Royal-Prussian Technical University of Gdansk that was founded in 1904 and reestablished in 1945. Today it has nine faculties and with 41 fields of study and more than 26 thousand undergraduate, as well as about 400 doctoral students. The university employs over 2600 staff, including nearly 1200 academic teachers (113 titular professors, 165 associate professors and 651 assistant professors). One measure of the university’s achievements in research and development is the yearly contribution of over 2000 publications, of which nearly 300 appear in the world’s most renowned scientific journals on the ISI list and more than 40 are scientific monographs and academic textbooks. The impressive premises of GUT are occupied by 9 faculties, which offer Bachelor’s, Master’s and Doctoral studies conducted in full time and part time systems in many areas of science and technology. During the recent years, Gdańsk University of Technology has made many changes, both preserving the tradition of a technical university and being open for economic and social demands..
Employees of GUT carry out interesting studies and implement worthwhile projects. Their achievements and scientific activities are reflected in a significant number of awards and distinctions granted by both the Minister of Science and Higher Education, as well as a number of national and international institutions related to scientific and research activities. international educational projects - 9 projects. Civil and Environmental Engineering, the Project Partner is one of the oldest and the largest faculties at GUT. It has full academic rights – a privilege to grant BSc, MSc, PhD and DSc degrees. At the moment there are almost 200 academic teachers delivering courses for over 4600 students. The faculty conducts daily and extra-mural courses in Civil Engineering, Geodesy and Cartography, Environmental Engineering, and Transportation. The Civil and Environmental Engineering Department took and take part in many national and international projects, i.e. CARbon BALAncing for nutrient control in wastewater treatment (CARBALA), 7th EU Framework Program, People Maria Curie Actions ; Reduction of N O emissions from wastewater treatment plants – 2 measurements, modeling and process optimization (RENEMO); Integrated technology for improved energy balance and reduced greenhouse gas emissions at municipal wastewater treatment plants (BARITECH), Norwegian Financial Mechanism; New methods of emission reduction of selected pollutants and application of by-products from sewage treatment plants (BiDiCoWet); Innovative Solutions for Wastewater Management in Rural Areas (NORWET); Innovative carbon source for denitrification in municipal wastewater treatment plants (INCAS); Sustainable communal waste-water management in the Baltic Sea Region (SUWMAB); Plants (STPs) in the Baltic Region (WETEFF).